During the Ice Age, glaciers covered all of Michigan. When they receded they left a unique landscape, particularly in southern Michigan. Yankee Springs was very heavily carved by the glaciers leaving this area with a sandy soil, many hills and lakes and interesting formations such as the Devil’s Soup Bowl. Native Americans discovered the area and revered its abundant fishing and hunting opportunities. Although there was no permanent settlement here, many tribes, such as the Ottawa, Ojibway and Pottawatomi, shared the area for food gathering. Yankee Springs was opened to settlement in the 1830’s. Because of its beauty, many lakes and abundant game, many made their homes here and began farming the land. However, due to the farming practices of the time and the poor soil in the area, by the 1930’s farms were failing and the land was extremely eroded. Under the Land Acquisition Act of 1932, people were given the chance to sell, lease or trade their property to the government. To many people living in depressed areas, this afforded them the opportunity to relocate or supplement their income by turning all or part of their holdings over. Yankee Springs was one of those depressed areas and many residents gave up their land to the government to resettle. Job opportunities in the automobile industry allowed many to relocate to other cities and allowed the government to begin reclamation and restoration of the land. Areas such as Yankee Springs presented unique opportunities. In 1938 the Federal Government began work in Yankee Springs. Through the efforts of the Civilian Conservation Corps, the Corps of Engineers and the Work Project Administration, reforestation began with the planting of fast growing pines to anchor the soil and hardwoods to restore the forests. Work also began on the development of a park with a public beach on Murphy’s Point (called Roosevelt beach) and 2 outdoor centers; Mud Lake Camp (currently known as Chief Noonday Outdoor Center) and Long Lake Camp (Long Lake Outdoor Center). The first group to rent and stay at the Long Lake Camp was a group called Camp Michawana. This group used the area for many years until the 1970’s when they acquired their own property and established a camp that still operates today near Cloverdale. MI. In 1943, with so much of our nations efforts dedicated to World War II, the federal government decided to turn many park areas, such as Yankee Springs, over to be operated by the individual states. At that time, many new parks entered the Michigan State Park system, including Yankee Springs. New areas were acquired through many different means to develop the 5,200-acre park we now enjoy. 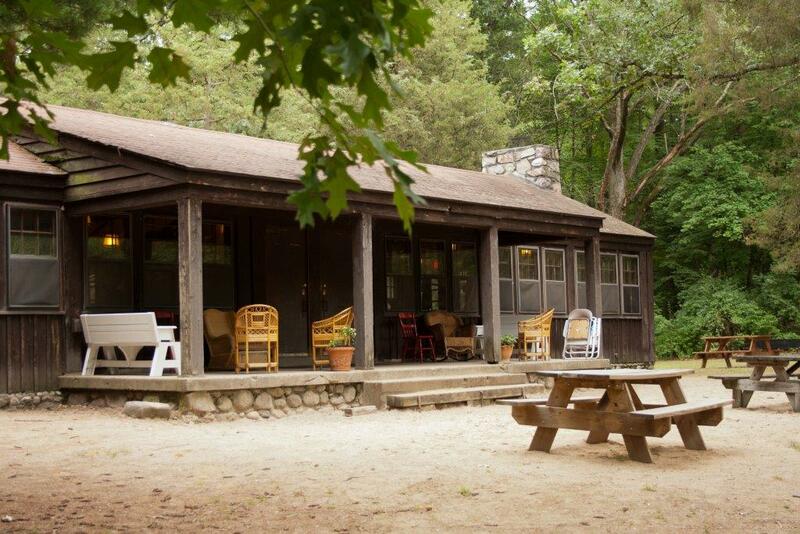 The Long Lake Outdoor Center has been operated continuously since it was first built. During the early 1980’s a renovation of the camp was done. 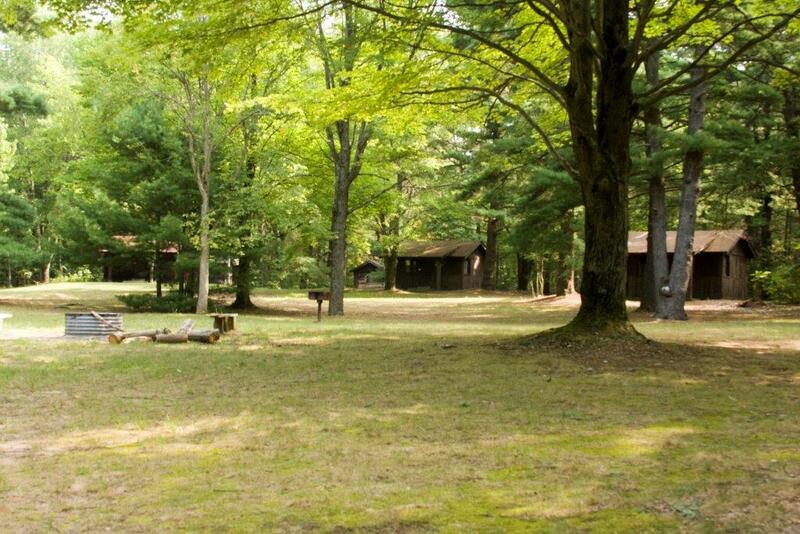 Two of the four cabin circles were eliminated and the remaining buildings renovated to accommodate up to 120 campers. Only one cabin is not original to the facility; cabin #13 burned to the ground in the early 1970’s and was replaced with a “new” cabin brought in from a similar facility in Colorado. The new Central Latrine was built in the early 1990’s. Long Lake Outdoor Center was placed on the list as a Historical Area in the 1990’s and still retains its historic charm. child camping in the Long Lake Outdoor Center.